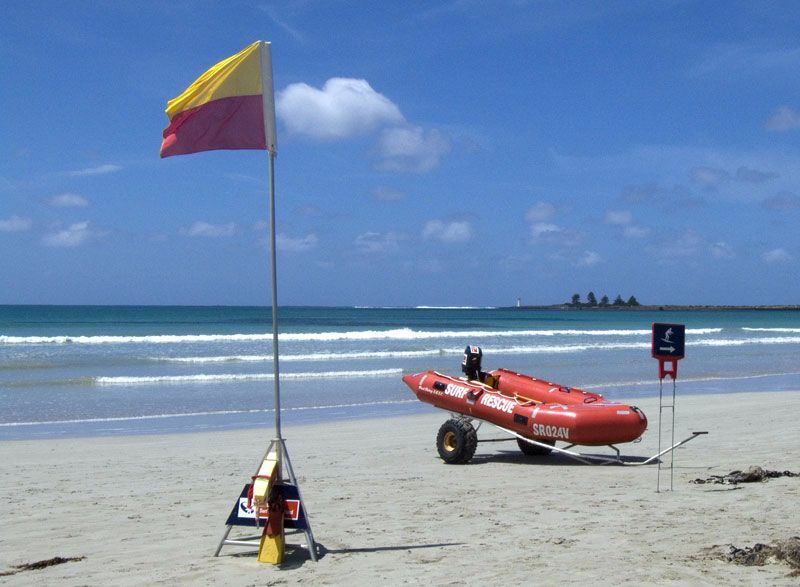 There is just so many fun activities and things for you to enjoy in and around Port Fairy. You can ride your bike, swim or walk so, just sit back and relax and take it all in ... you'll love it - We do! Experienced Staff, perfect location and exceptional facilities ensure your time with us is pure bliss. This 5 star day spa features indoor heated salt pool with massage jets, custom made thermal capsule, flotation tank, dual geisha tubs, pedispa, large gift shop, hair salon, and 5 wet/dry rooms for facials, massage, and body treatments. 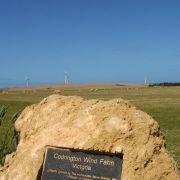 Australia's largest wind power station is located just 20 minutes from Port Fairy. 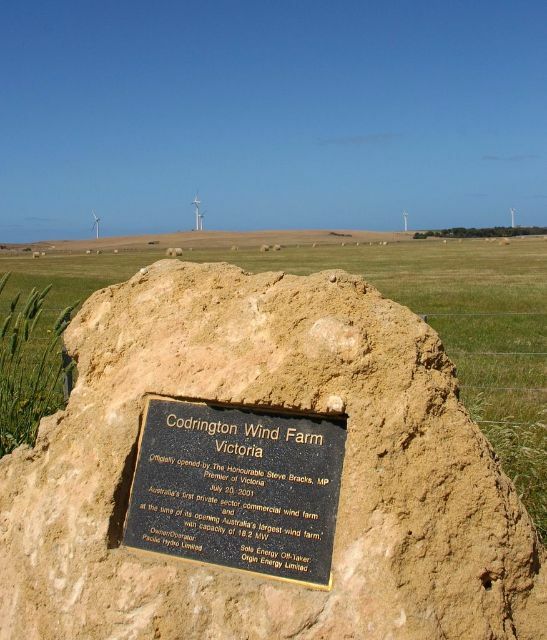 Enjoy a tour in the comfort of a minibus, with professional commentary on the history of the sheep and cattle farm, the development of the wind farm as well as technical information about the amazing wind turbines. Port Fairy Golf Club is a beautiful 18 hole course set on the oceans edge. The greens and fairways are as picturesque as the ocean views beside. Enjoy a cool drink in the club house overlooking the course as you chat about your best drive of the day! Speak to Luke at the pro shop for tee off times or bookings. Phone (03) 55 68 2866. Open Daily. Mutton bird rookery is another enjoyable walk. On dusk enjoy the mystery of the mutton bird as it flys into nest. Every year around September the mutton bird arrives for nesting and stay until April when the adult bids commence their pacific migration. The younger chicks set off after the adults and manage to find their way. Viewing platforms have been built so you can safely watch. The lighthouse is also a feature of Giffiths Island. Classes are conducted by qualified coaches of Easyrider Surf School: Winners of the Tourism Award. Safe, Simple and Fun for all ages 6 to 60 yrs old. 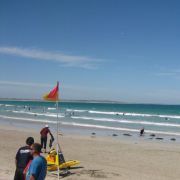 2 hour surf sessions with soft foam surfboards, full-length Billabong wetsuits & sunscreen provided. 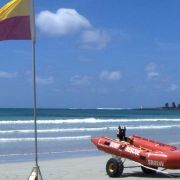 Warrnambool, Port Fairy & Portland classes available for individual, family and group bookings : operating all year! Phone for bookings on ph: 5560 5646 or 0418 328 747. 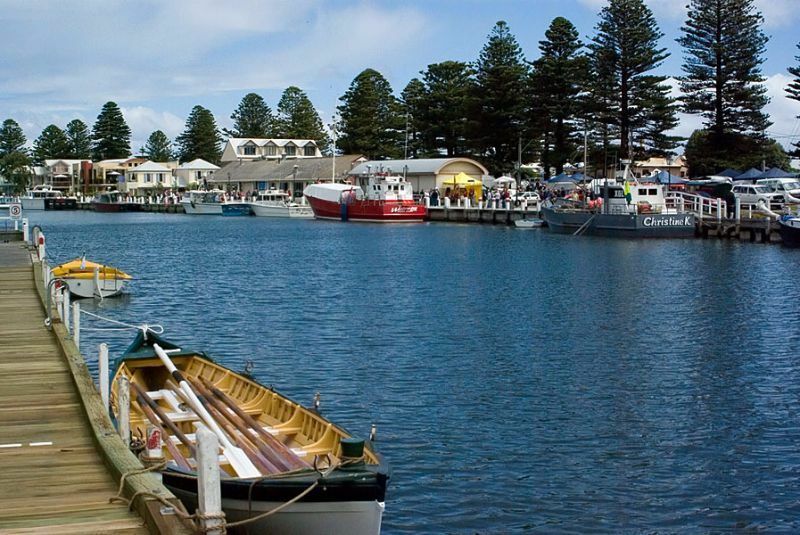 A leisurely walk in one of Victoria's earliest settlements enables you to look, touch, feel and experience the history of Port Fairy. Many original historic buildings are still standing and it's all here for you to enjoy. Visit our history centre and then just walk the afternoon away through Port Fairy's heritage, stopping to admire lovely cottages and cottage gardens. Feel the experience of Victoria's early settlers as you stroll through yesteryear. River Side BBQ and Childrens Play Ground in the perfect setting by the river. Enjoy the aroma of sausages sizzling on the BBQ as you try to catch a fish in the river beside. Brilliantly coloured play grounds close by which the children will love. Fly a Kite, relax on a rug it's all here for you to enjoy. Enjoy a leisurely walk along the wharf and select some fresh fish or crays for your evening meal. View the lovely cottages and homes built along the river and admire the boats and yachts berthed beside you. Call in and see the Port Fairy historic life boat that has been restored. Great Ocean Horse Trails: Ride up the beach for kms and enjoy the views and sea air rushing through your hair as you enjoy the morning of afternoon sun. For bookings Phone/Fax (03) 55 624 874. Boat cruises are available to see yet another perspective, Port Fairy from the bay. 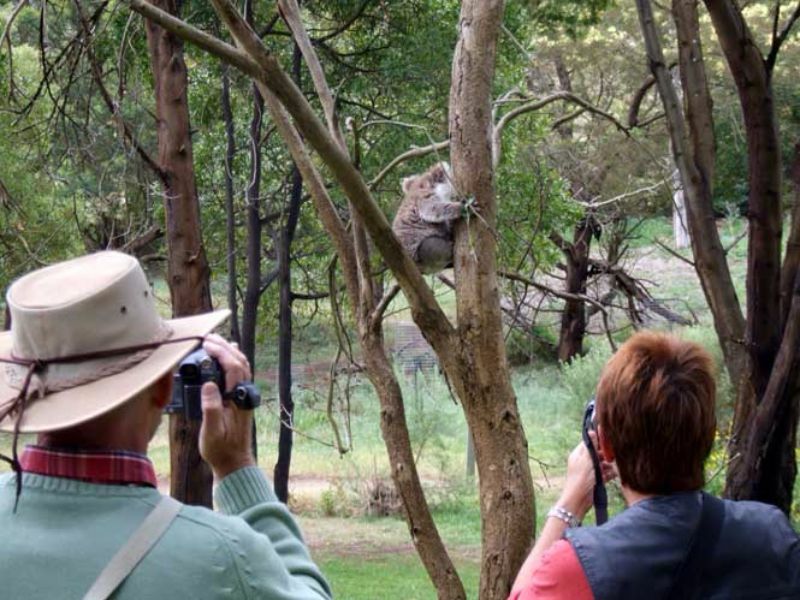 Bay cruises, functions, Lady Julia Percy Island and Fishing tours can all be arranged. The boats leave daily from the wharf. 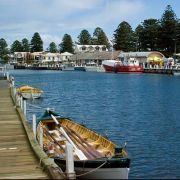 Port Fairy Boat Charter (03) 55 681 480 Mob 0409 807 054. 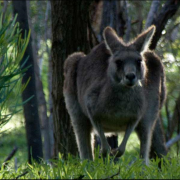 Tower Hill State Game Reserve is only 14km from Port Fairy. 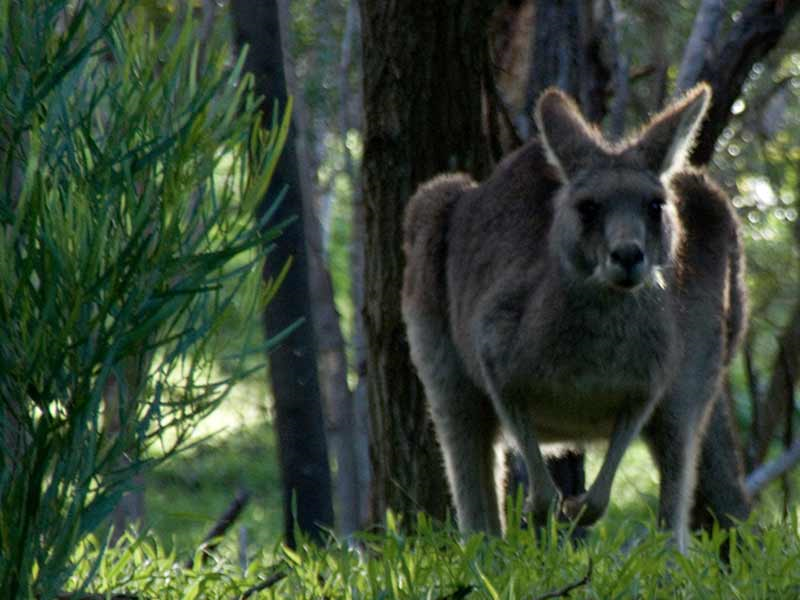 Tower Hill is Victoria's First National Park and has many lovely walking tracks and great spots for a BBQ or Picnic. 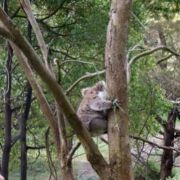 Enjoy all the facilities Tower Hill has to ofter and the native wild life is a special bonus we have in store for you. 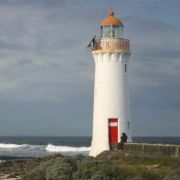 The Crags is only 12km from Port Fairy. 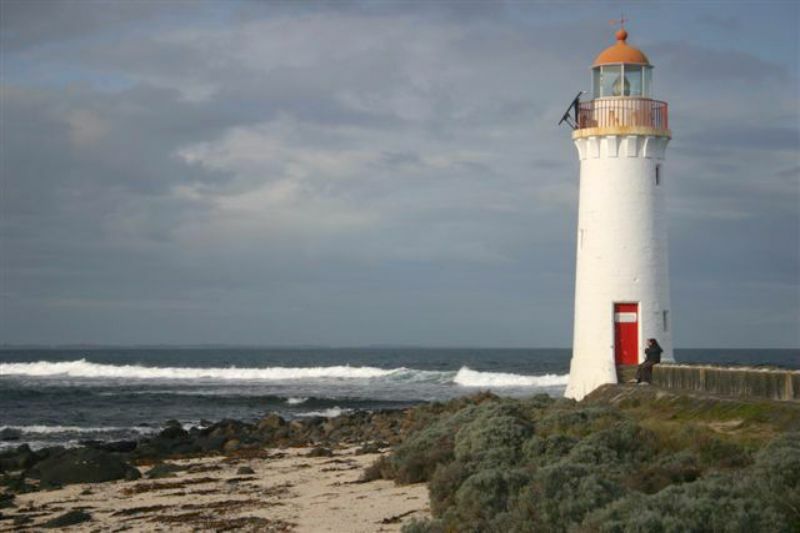 The Crags provides panoramic views along Port Fairy's sweeping coastline and views to Julia Percy Island. 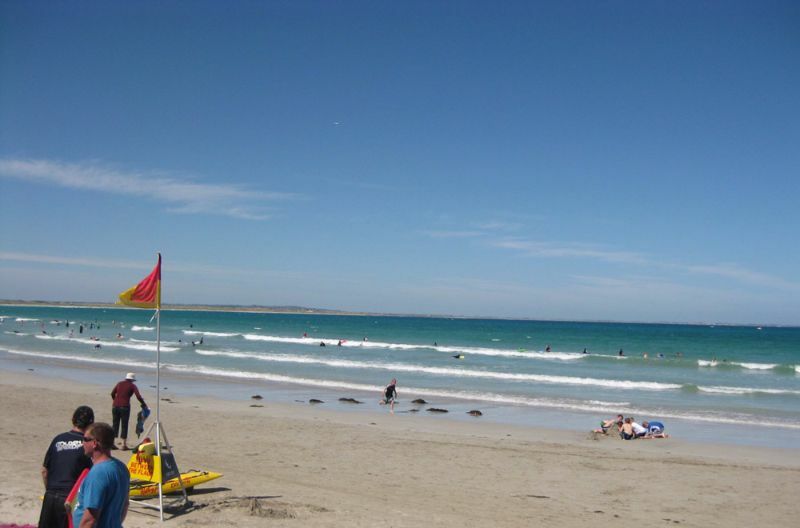 This is a very rugged stretch of coastline and a contrast from the swimming beaches and bays in Port Fairy. The Yambuk lakes and Yambuk Hotel are only 16km west from Port Fairy. Enjoy a picnic by picturesque lakes and enjoy a relaxing stroll along the beach. The Yambuk Hotel also provides a traditional country counter meal with all the great country flavors.